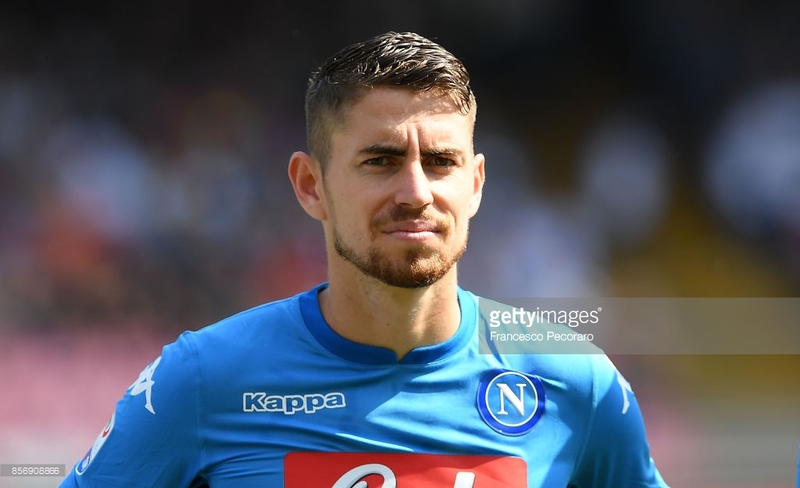 Napoli star player Jorginho has been linked with a move away from the Italian club in recent times, and there rumours he is ready to move to England. Premier League heavyweights Manchester United are understood to be interested in signing the talented player, but they will need to battle with Manchester City for his signature. And finally, his agent has spoken out amid the numerous speculations circulating in the media about his client. Manchester United boss Jose Mourinho is still on the lookout for a replacement for Michael Carrick who is hanging his boots at the end of this season. His side have reportedly identified Jorginho as a guy who has all it takes to replace the veteran midfielder at Old Trafford, and it was claimed the red devils held negotiations with his agent Joao Santos. However, Joao made it known that Jorginho still has a contract with Napoli that is meant to expire in 2020, and that there is no need ‘messing with his head’ at this point in time. He also denied some other rumours that he travelled to Naples to get a new contract sealed for the talented player. Mr Santos, who is aware of interest from the two Manchester sides, said his client is very much happy at Napoli. I am a freelance writer and a software engineer with years of experience including many in-person and online contracts. I write quality, clear and eloquent articles, blog posts and other contents for websites. Premier League champions Manchester City would be hoping to bounce back from their Champions League exit at the hands of Tottenham Hotspur when they face the same opponents in the league. Manchester City host Spurs at home with the target of getting the win that will take them to the top of the Premier League table and ahead of title rivals Liverpool. The Citizens crashed out of the Champions League at the quarterfinal stage after they were beaten by North London giants Tottenham Hotspur. The English champions had lost the first leg 1-0 away from home and the lack of at least an away goal came back to haunt them in the second leg. Manchester City paid dearly for a poor defensive showing with a 4-3 win which was not enough to take them into the semifinals. Ahead of the game, Manchester City manager Pep Guardiola might not make too many altercations to his team with a win over Spurs being the target for him. Manchester City are overwhelming favourites despite the result from Wednesday’s Champions League and they have winning odds of 1.27 according to Surebet247. An unlikely victory for Spurs is at the odds of 10.00 while a possible stalemate is at the odds of 6.00 as confirmed by Surebet247. Former Manchester United player Henning Berg has called out star player Paul Pogba over his recent performances in the colours of the club. In a recent interview monitored by popular media outlet Goal, the Manchester United legend revealed that the French World Cup winner must improve his performances for the Red Devils with the immense quality that he possesses. Paul Pogba has been heavily criticised following his showing over the two-legged Champions League tie with Spanish champions Barcelona. Pogba and Manchester United were dumped out of the Champions League by Barcelona via a 4-0 aggregate defeat. French World Cup winner Pogba was largely anonymous as Manchester United were beaten 1-0 at home courtesy an own goal from Luke Shaw in the 12th minute. The former Juventus midfielder also struggled to impose his game on the second leg clash which took place at the Nou Camp on Tuesday night. Pogba was nonexistent as Manchester United were beaten 3-0 by their hosts who secured a final four spot in this year’s Champions League with a 4-0 aggregate win over the Red Devils. Barcelona will next face Liverpool in the final four of the competition with the first leg scheduled for the Nou Camp at the start of next month while the second leg will take place at Anfield a week later. 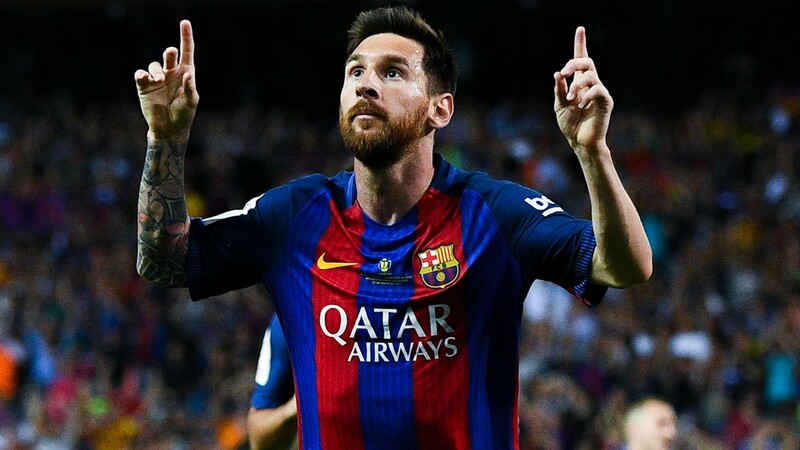 Former Manchester United manager Jose Mourinho has praised Barcelona superstar Lionel Messi following his performance for the Spanish champions in their Champions League win over his former club. The Portuguese tactician paid tribute to Messi in an interview with Russia Today as he revealed that Manchester United needed a cage to stop Messi from wreaking havoc. Lionel Messi was at his best against the Red Devils as he scored twice to lead Barcelona to a 3-0 win over the Red Devils in their Champions League quarterfinal second leg meeting to secure a 4-0 aggregate victory. The little Argentine international scored the opening goal for the Red Devils in the 16th minute with a left-footed strike before he added a brace in fortuitous circumstances after his right-footed strike squirmed under the body of Manchester United shot-stopper David De Gea. Ex-Liverpool player Philippe Coutinho wrapped up the win for the Spanish champions in the second leg. Barcelona had earlier won the first leg at Old Trafford with the help of an own goal from Manchester United defender Luke Shaw. With the aggregate win over Manchester United in the last eight, Barcelona will now face Liverpool in the semifinals of the Champions League. Barcelona host Liverpool in the first leg at the Nou Camp before the second leg in England. Liverpool midfielder Fabinho has noted that his team have their eyes on winning the English Premier League and the Champions League this season. This is coming after the Merseyside outfit secured a win over Portuguese outfit Porto in the quarter-final of the Champions League to set up a semi-final clash against Spanish La Liga outfit Barcelona. Also, the Jurgen Klopp side are in the contest for the English Premier League title against defending champions Man City as they sit top with two points clear. Fabinho has stated that winning a double for his team is a reality but that has to be achieved with hard work as he stressed that there is no need to rest until after the titles have been won. According to him, the team will face each game as they come and will enjoy it with their attention fixed on the Premier League clash against Cardiff. He stated the focus of the team is not to be regarded as the best team in England and Europe but to win titles at the end of the day. However, a Premier League win for Liverpool will be their first in 29 years while they are likely to see their second consecutive Champions League final this season. Emerging reports have revealed that Portuguese international star Cristiano Ronaldo has urged his Italian Serie A outfit Juventus team to snap up the signature of Egyptian international Mohamed Salah from Merseyside outfit Liverpool. Since joining the Anfield from AS Roma, Mohamed Salah has been in great form and has helped to return Liverpool to competing for titles as they came close to winning the Champions League last campaign before they were defeated by Real Madrid in the finals. Aside from his personal feats of winning the golden boot and becoming the best player in the Premier League last season, Mohamed Salah contributed to the successes of manager Jurgen Klopp and that is still unchanged at the moment. However, it is claimed that Cristiano Ronaldo seeks to work with the Egyptian international and has told the Serie A champions to ensure they snap up the signature of the star player so as to make the coming season easy for the team to compete in Europe. It is therefore not certain if Liverpool will listen to any offers from any team, not minding the amount for Mohamed Salah with his current form, especially after he has hinted that he wants to keep his team together. Merseyside outfit Liverpool now have a new target for the season after they were able to deliver a win against Porto to progress to the semi-finals with a tie against Barcelona. James Milner stated that the target of the team is now to win all seven games left until the end of the season across all competition as it will keep them in a better position to win at least a title at the end of the day. He noted that the Premier League at the moment is in the hands of the defending Champion, Man City but his team will play their part in winning all their games left. James Milner admitted that it would be a difficult task for his side because of the level of those games and the intensity but he said it is still possible to deliver a win in all of the games with hard work and teamwork. However, Liverpool will now turn their attention on Cardiff City for the Premier League clash this weekend as they continue their bid to win the first domestic league title in 29 years while manager Jurgen Klopp will be seeking to win his first title as Liverpool boss. West London outfit Chelsea boss Maurizio Sarri has reacted to the knock sustained by Belgium international Eden Hazard during their win against Slavia Prague on Thursday night. Eden Hazard was down hit during the first few minutes of the game and was attended to before he returned back to the field but he was unable to go through 90 minutes as he was substituted in the 65th minute. This has therefore raised fears that he could be unavailable for their Premier League fixture this weekend but that has been dismissed by the Italian boss who claims that he expects Eden Hazard to remain fit. There is no doubt about Eden Hazard’s quality and his importance to the team, especially now that his team lack cutting edge in the attack and has the Belgium international in great form to deliver goals for the team. However, Maurizio Sarri admitted that it was a strong knock on Eden Hazard but remains hopeful that they can be able to recover him before the coming game. Meanwhile, the West London outfit are hoping to avoid the Europa League next season and that is why they are pressing to have a top-four finish in the Premier League so as to play in the Champions League. The West London Outfit Chelsea were able to secure a resounding win against Slavia Prague in the second leg of the Europa League quarter-finals to secure progress to the semi-final but defender Cesar Azpilicueta is still unhappy. After a 1-0 win away from home in the first leg, goals from Pedro, Olivier Giroud and another own goal ensured a 3-0 win by the Blues team to be able to advance but it has been established that they were not impressive especially in the second half. Cesar Azpilicueta noted that it has become a trend for his team to drop in their intensity during second half games as their Thursday opponent almost came back into the game which would have cost their promotion. He stressed that this mistake from his team have been repeating itself over time, noting that it is not the way he would love to win trophies as they might not be lucky all the time. However, he hopes they are able to push through and win in the semi-final so they can play the finals and probably win the trophy at the end of the day. Meanwhile, the Blues team will now face Bundesliga side Eintracht Frankfurt in the semi-finals. Manager Maurizio Sarri has replied to his team’s criticisms of second-half performance by defender Cesar Azpilicueta after their win against Slavia Prague on Thursday night. The Blues team had a perfect first half but all of the impressive performance was almost ruined in the second half as they played poorly which almost gave their opponents a lift to return back to the game. 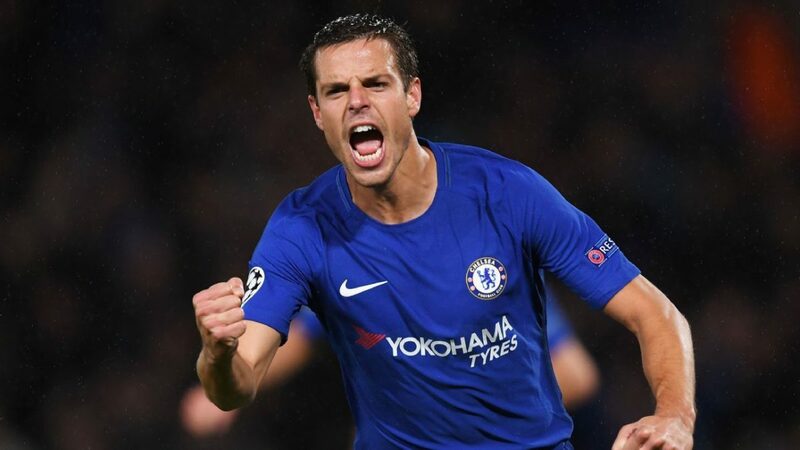 Cesar Azpilicueta lamented that it has been a trend in the past games and it has to be stopped if they must win the Europa League title this season. However, manager Maurizio Sarri has noted the problem but he jokingly gave a reply by stating that he will stop going into the dressing room after the first half blow if that would bring a solution to the second half problem. He confessed to having warned his players about it by telling them to have the same application and attention as in the first half, lamenting that he cannot understand why his players lose focus in the second half. However, the Blues team have now secured qualification to the semi-finals and will hope they scale through to be able to stand a chance of winning the Europa League for an automatic Champions League qualification. Former West London outfit Chelsea boss Antonio Conte has spoken on returning to management any time soon as he is almost a year out of a job. The Italian boss was sacked last summer after winning the Premier League title in the previous year with a record of 30 wins in 38 games as well as the FA Cup in his final year as the club felt he did not do enough. 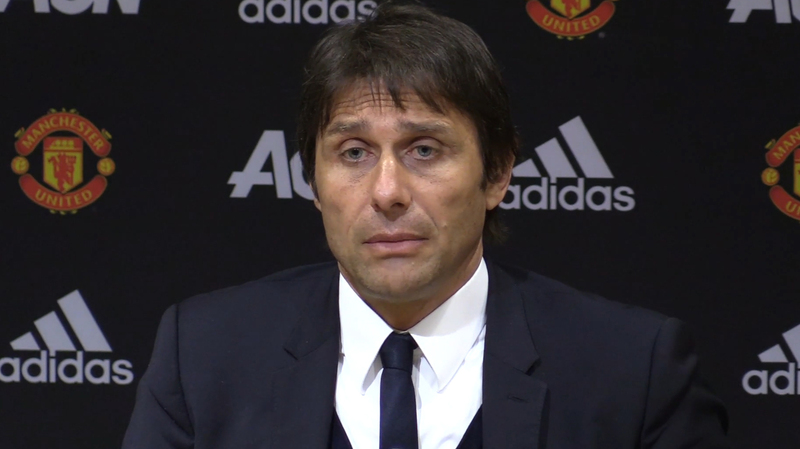 Antonio Conte has since been in a legal battle with the club as he claims compensation for sacking him at a time he was unable to speak to suitors amongst other issues which are yet to be settled. The former boss has now stated that he hopes to return to management but he wants to secure a job with a team that has a project that convinces him of a successful spell. It is obvious that he is not desperate for a return as he had earlier rejected the job to move to Spanish La Liga outfit Real Madrid over claims that he does not want to go into a club that is in crisis. However, Antonio Conte remains a world class manager who will not be short of suitors in the coming summer transfer window. Willian tells Sarri who to replace Morata, Grioud? “The King is back”- “Could help develop Morata” Good news for Chelsea fans. Copyright © 2018 The Wistle.